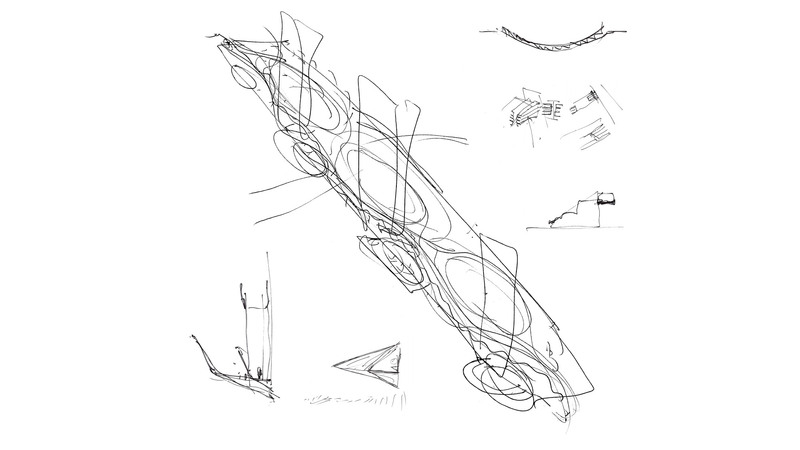 Our intervention on this site uses a playful curvilinear form to carve out distinctive new public spaces, providing new opportunities for the community. 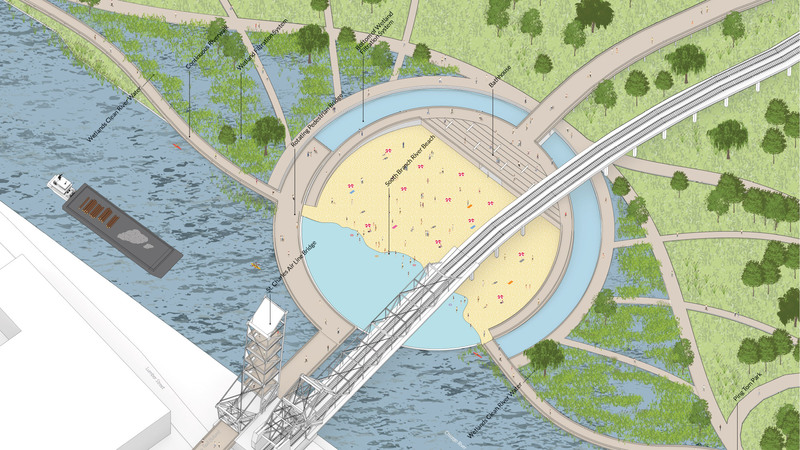 This thickened edge works within the quiet, pastoral context that presently characterizes the site, while simultaneously creating destinations that can serve as public anchors for future development and densification. 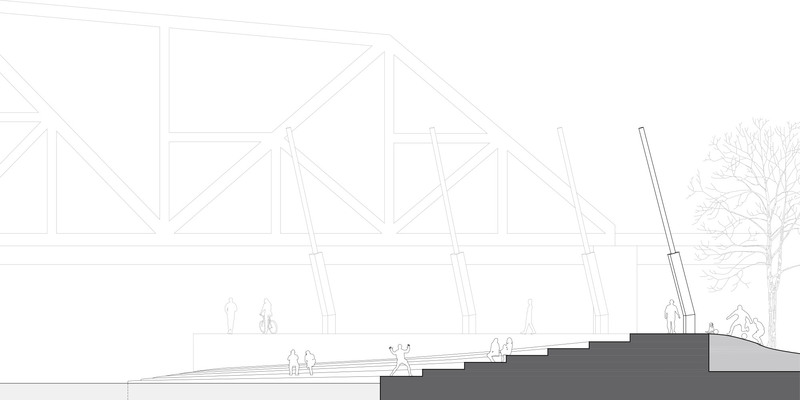 The exterior walkway curves around the historic bridge to increase connectivity and open up new urban vantage points. 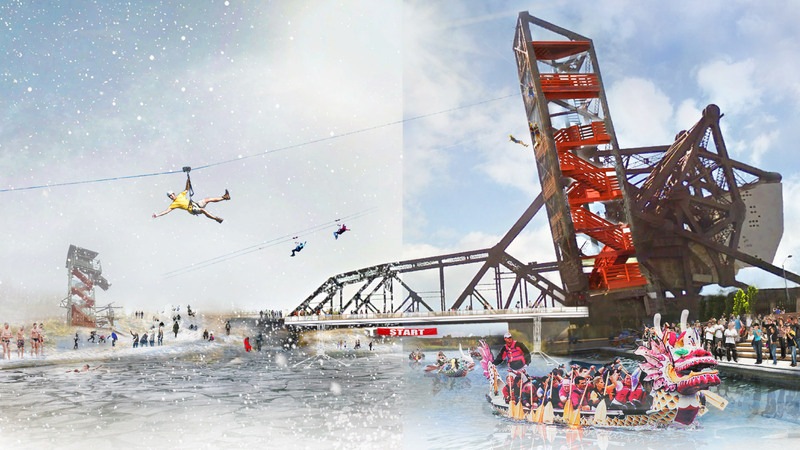 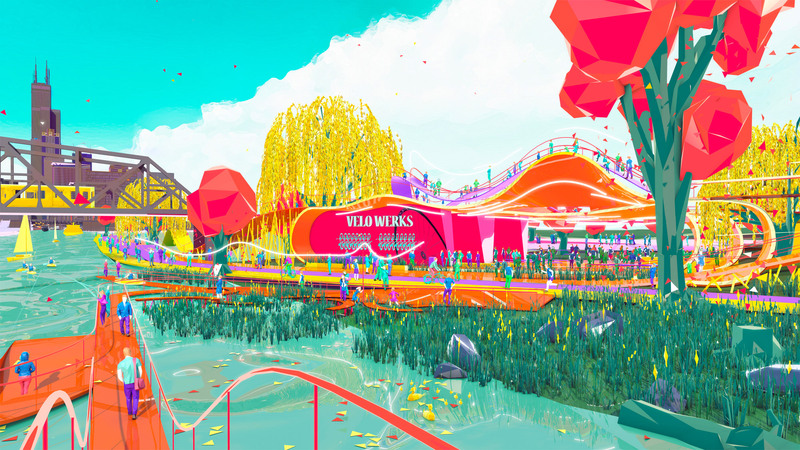 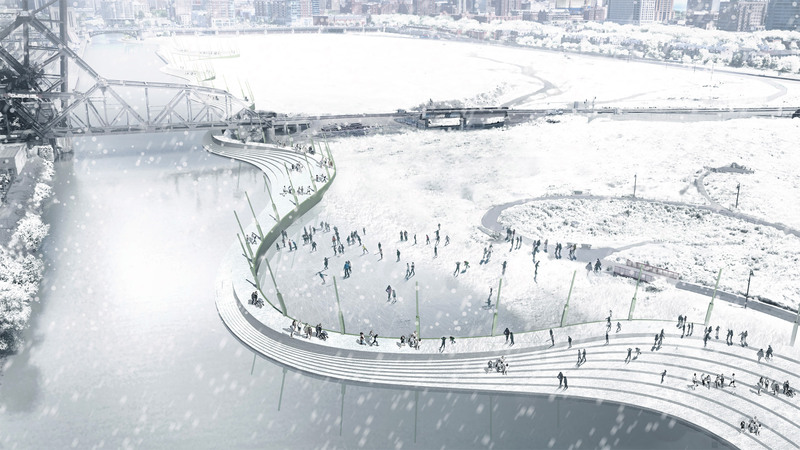 It also broadens in key moments to offer riverfront amphitheaters, which can be serve both as programmable space and a generous public promenade. 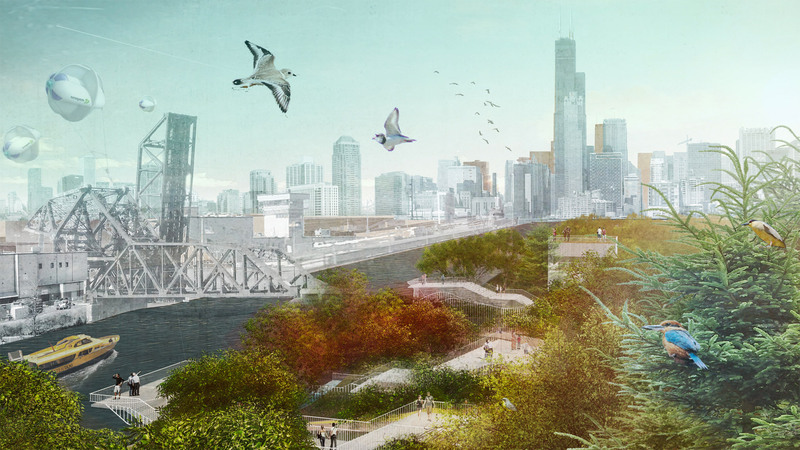 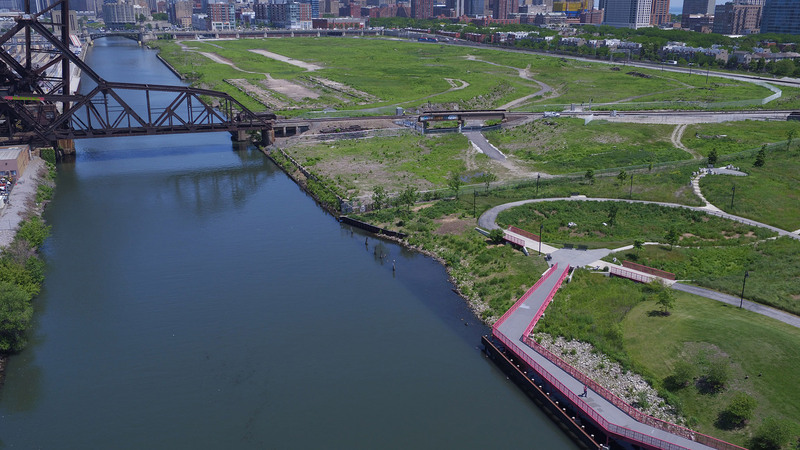 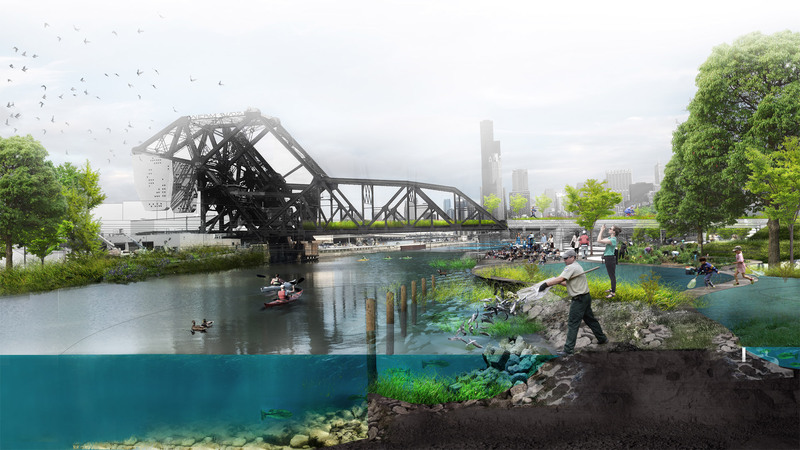 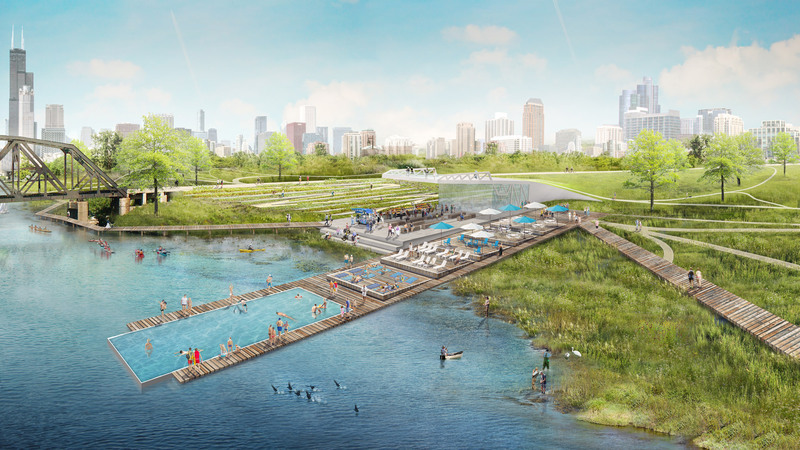 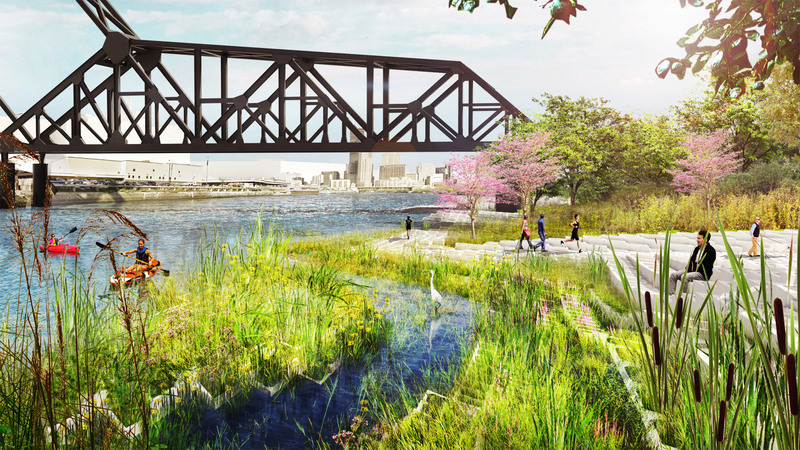 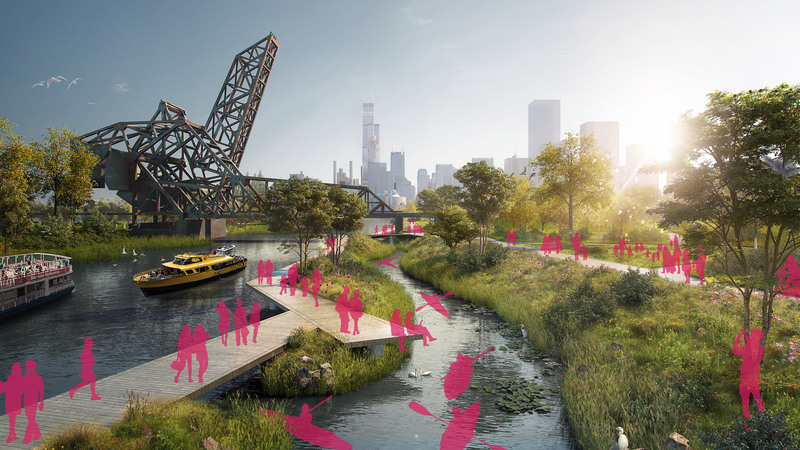 When the walkway curves away from the river edge, it forms an enclosed urban lagoon that provides Chicagoans a new leisure waterfront destination.